If you aren't careful, aquarium snails can rapidly multiply and become a nuisance in the home aquarium. Understanding the differences between various species of aquarium snails is the key to preventing this problem because some species are more likely to become a nuisance than others. Two of the most popular snail species for the home aquarium are nerite snails and turbo snails. Each of these snails provides valuable benefits and if provided with a proper diet, they are unlikely to become a problem. Nerite snails can be found in both freshwater and saltwater environments, though they are most commonly associated with saltwater aquariums. The species most common in the freshwater aquarium hobby is the olive nerite (Neritina reclivata), which has a dark green shell ornamented with black stripes. One of the most popular species for saltwater tanks is the zebra nerite (Puperita pupa), named for its black and white coloration. Nerite snails remain small, typically growing to a maximum length under 1 inch. These snails feed mainly on algae, though some will consume decaying plant matter as well. Turbo snails are a group of sea snails that can also be kept in the saltwater aquarium at home. These snails have domed, spiral-shaped shells that typically grow no larger than 4 inches in size. There are over 60 species of turbo snails, but some of the most popular species for the aquarium trade include the Mexican turbo snail (Turbo fluctuosa) and the zebra turbo snail (Turbo spp.). 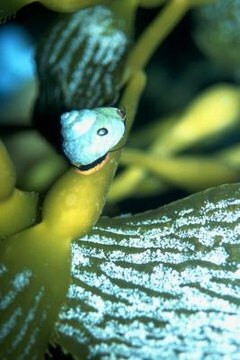 Turbo snails are herbivorous by nature, feeding largely on algae as well as seaweed. In the wild, these snails like to hide in holes and crevices so they appreciate having hiding places available in the home tank. Both nerite snails and turbo snails provide the benefit of removing algae from the home aquarium. If your tank is large enough and has a sufficient supply of natural algae growth, you should not need to supplement the diet of nerite snails. Turbo snails, on the other hand, are voracious eaters and may starve if you do not offer them algae or vegetable wafers. Another benefit that nerite snails have over turbo snails is that they can be used in both freshwater and saltwater applications -- turbo snails are solely for saltwater aquarium use. Though they may require a little more upkeep, turbo snails not only clean your tank of algae, but they also sift through substrate, aerating it as they go. If you are not careful, many species of aquarium snail have the potential to become a pest in the aquarium. Overfeeding your snails may result in rapid reproduction and you may find yourself with an abundance of snails in your tank. Another drawback common to both nerite and turbo snails is that they are very susceptible to copper and other medications. Exposure to medications, and even heightened levels of nitrate, can be very harmful to nerite and turbo snails. Depending what you are looking for, the size of these snails may also be a drawback. Nerite snails remain very small so they may not be a good choice for large tanks, while turbo snails can grow rather large and are only recommended for large tanks.